I believe Patch 1.5 has a release date now JULY 31ST WOOT!!!! 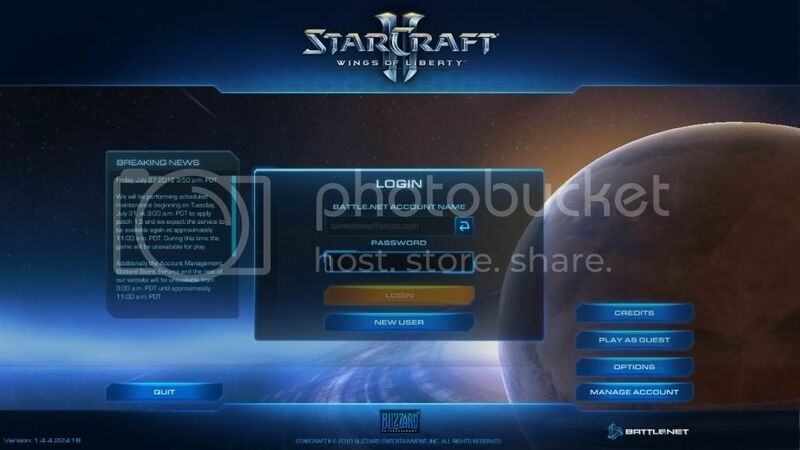 Read the Breaking News on Starcraft 2 for more information!!!! I've been looking for a release date all day to post it here as soon as it went up- where in the world are you talking about? I'm on the sc2 website, there's nothing about a release date (Other than of course july 31st being the anniversary). Well there you go! I'll post this immediately :D Great job spotting that! I'm anxious to see how well this diversifies the playable custom game gallery. Yippy! Having mixed feelings about the release... there are still some issues with 1.5 that dont seem to get fixed. @Mille25: Go Nothing is fixed from what I reported. They did say that they have a new build that would fix a few remaining bugs... So that might actually mean that some of these problems are fixed, and Hookah, if its bugs in the editor, you can forget those being fixed until over the coarse of the next year with small patchs, thats just how they usually fix bugs with the editor. I haven't tried it since the alpha... do we have named custom lobbies yet? If not, cya guys for another year lol. @OneTwoSC: Go No named lobbies. They removed Named lobbies, from Wc3, and D2, but I dont see why it shouldnt be brought back... now that they have tighter security. Why do we need named lobbies? What information would you guys want to put in the title that you couldn't specify in the game mode, map name, etc? Pros only, I think what would be better would be a list of allowed Prefixes, and Suffixes. If they do add Named Lobbies, then I would be fine with Prefixes and Suffixes. But the file count is still 20. Those poor melee mappers suffer from that the most.